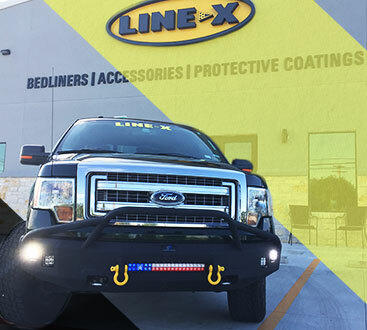 Making trucks more functional and accessible day after day, LINE-X of Austin is a proud dealer of industry-leading aftermarket truck and Jeep accessories. Our highly-trained team of experienced professionals is committed to providing dependable installations and services that exceed customers’ expectations time and time again. 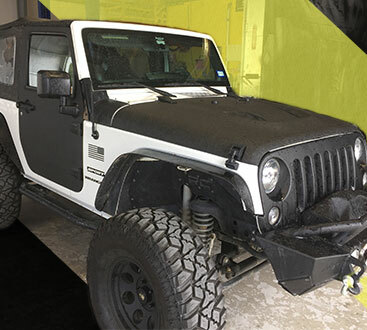 As a full automotive off-road shop with more than 10 years of experience in aftermarket auto products, LINE-X of Austin is fully equipped to handle anything and everything a truck needs. Integrating both function and off-road style, our vast selection of Nerf Bars and truck step bars has something for even the most discerning truck or Jeep owner. Serving as a stable stepping surface to get into your vehicle, nerf bars are a wonderful way to add an element of off-road style to your truck or Jeep. When considering a truck lift, some customers express concern over the bigger step distance required to get into their vehicles, which can be tough on the back and legs. Over time, this added stretch can lead to chronic pain or injury. 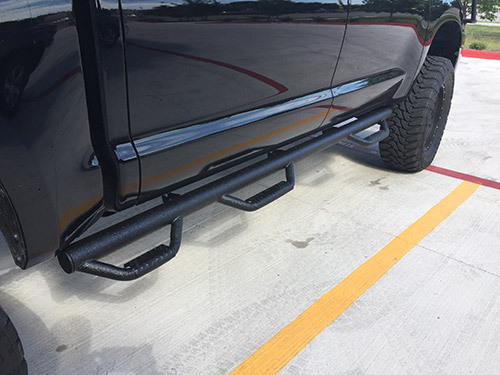 Instead, you can have nerf bars installed and reap the health and ease-of-use benefits of this functional aftermarket accessory, all while creating an even more rugged, tough look for your truck or Jeep. Does your truck need an upgrade? Contact LINE-X of Austin today for a free quote or stop by our state-of-the-art facility to chat with a friendly member of our team. We look forward to serving you!